Layla Ben-Ali is a third year PhD student at the University of Pennsylvania specializing in Ethnomusicology and Africana Studies. She received her B.A. in Anthropology from Hunter College in 2010. Her research assesses dystopian black sci-fi in music. She is especially interested in alternative black women artists whose works convey posthuman subjectivity through decolonial sentiments. Nadia Botello is sound artist, experimental composer, and sound designer. Her work examines deep listening practices as a method of improvisation, composition, and a means in which to engage and interact with audiences and spaces. She primarily explores the boundaries between three-dimensional spatialisation, aural sculpture, the articulation of site and space, underwater sound, and physical listening experiences. She has composed and designed for dance, film, pinball, experimental opera, iPhones, plants, bodies, architecture, large-scale interactive installations, and more. Her full-length debut, Saint Shë, was featured and archived by MoMA P.S.1’s Clocktower. She’s most recently performed at James Turrell’s Skyspace “Gathered Leading”, the Philadelphia Museum of Art, Silent Barn, and the Icebox at Crane Arts. Fursaxa is Tara Burke. Formerly a member of the Silbreeze band UN, Tara started her Fursaxa project in 1999 after UN disbanded. Since then Fursaxa has released seven full length albums on the Acid Mothers Temple label, Ecstatic Peace, Time Lag, Eclipse, Last Visible Dog, ATP, and now her current record “Immured” on the Belgian label Sloow records. In addition there have been four self released CD-Rs and a CD on the her own Sylph recordings. 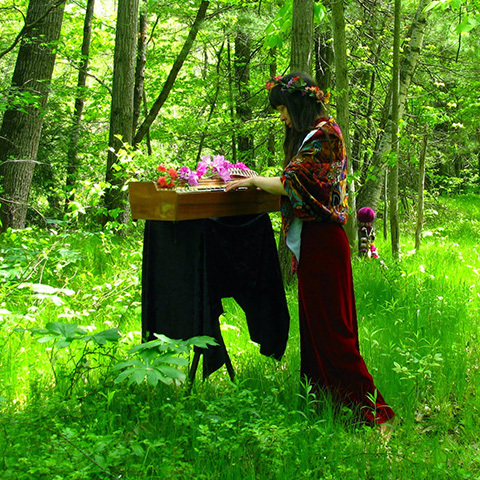 In the summer of 2008 Fursaxa started recording her record “Mycorrhizae Realm” at Hexham Head studio in Philadelphia. This studio recording is a first, as all of the previous releases have been recorded at home on a four track. In addition to recording, Fursaxa has played live music at venues in the US, UK, and Europe, touring with Bardo Pond, Black Forest/Black Sea, Christina Carter, Jack Rose, Spires That in The Sunset Rise, and Brightblack Morning Light, to name a few. 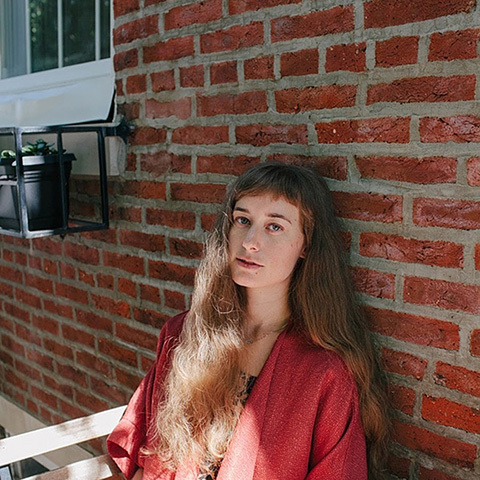 Live performances in 2010 saw Fursaxa expand to a trio, with Burke backed by harpist Mary Lattimore and cellist Helena Espvall, culminating in an appearance at the ATP 2010 music festival in Monticello, New York. Burke and Espvall also record and perform together as a duo under the name Anahita. 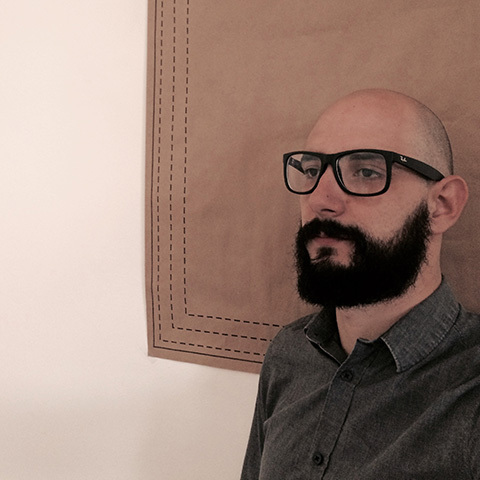 Caleb Kelly is an academic, event director and curator working in the area of the sound arts. 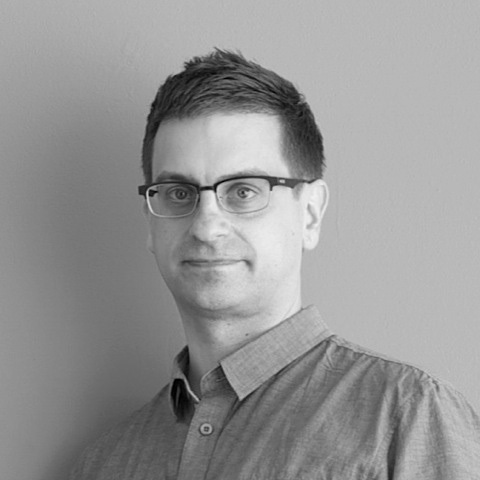 He leads the research group Sound and Materials and is a researcher within the National Institute of Experimental Arts in UNSW Art & Design. In the summer of 2015 he was the Edgard Varèse Guest Professor at the TU Berlin and he is in North America as an invited speaker at McGill University for Aisthesis and the Common. 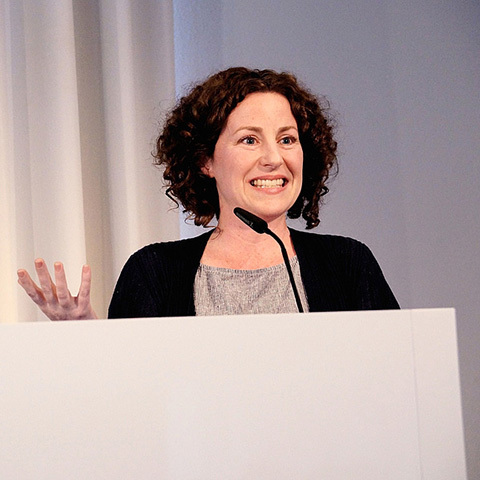 Mara Mills is Assistant Professor of Media, Culture, and Communication at New York University, working at the intersection of disability studies and media studies. Her first book, On the Phone: Deafness and Communication Engineering (forthcoming from Duke University Press) argues the significance of phonetics and deaf education to the emergence of “communication engineering” in early twentieth-century telephony; this concept and set of practices later gave rise to information theory, digital coding, and cybernetics. Her second book project, Print Disability and New Reading Formats (under contract with the University of Minnesota Press for the Manifold Series) examines the reformatting of print over the course of the past century by blind and other print disabled readers, with a focus on Talking Books and electronic reading machines. Her research has been supported by fellowships from the National Science Foundation, the Mellon Foundation, the American Council of Learned Societies, the DAAD, the Alexander von Humboldt Foundation, and the IEEE. Her writings on electroacoustics, audiovisual relations, and disability can be found in Grey Room, differences, Social Text, The Sound Studies Reader (Routledge), Keywords in Sound (Duke),The Oxford Handbook of Mobile Music Studies, among other volumes. 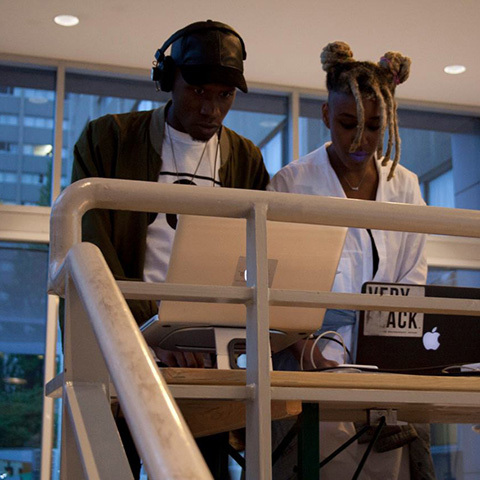 SCRAAATCH is a sound and performance art duo comprised of artists E. Jane and chukwumaa (both from Maryland, living in Philadelphia). 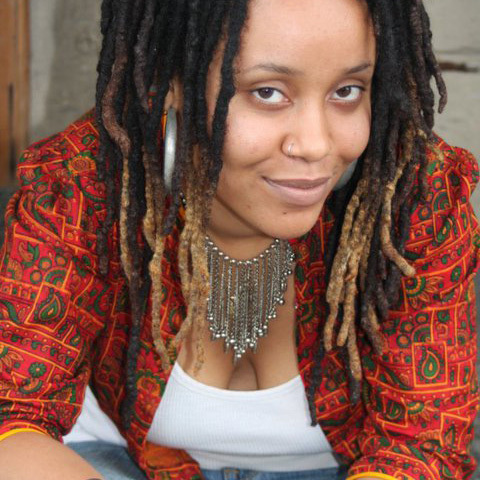 SCRAAATCH has performed and exhibited sound and media experiments at venues including MoMA PS1 Print Shop, New York; The Kitchen, New York; MoCADA, New York, Various Small Fires, Los Angeles; and Little Berlin, Philadelphia. E. Jane and chukwumaa are second year MFA candidates in Interdisciplinary Art at the University of Pennsylvania. Both chukwumaa and E. Jane are also alumni of Transformer’s Exercises (Conceptual Art: 2013 and Sound Art: 2014, respectively). Daniel is a PhD candidate in Music at the University of Pennsylvania. His work addresses the political aesthetics of sonorous practices and musical thought, focusing on the early modern period and the present. At the center of his work is a question about the materiality of sound—and materialism generally—which he deploys to displace issues of affect, mimesis, and representation towards a baroque sensibility that embraces excess, multiplicity, and dissemination.